It is back to school time around the country and with children returning to school, teachers are also gearing up for that great American tradition – Back-to-School Night. One question that always popped up in my Back-to-School Nights over the years was, “How can I help my child in reading and writing?" Over time, I developed a list to share with parents of things they could do at home. I share it below. Please feel free to copy and paste and use the list as you wish for your own Back-to-School Night. If you do use it as a printed list, I would appreciate it if you would state that this list was adapted from my new book, A Parent’s Guide to Public Education in the 21st Century. Below I list some of the attributes of a literate home environment. This list comes with a caution, however. Not all of these literacy practices fit seamlessly into all families and all cultures. For example, Shirley Brice Heath (1983) found that the way white middle-class family literacy practices with their children differed greatly from African American family interactions. Because the white middle-class family interactions hued more closely to instruction that took place in school, white middle-class students tended to do better in school. This observation does not mean that African American literacy practices are inferior, it means that school instructional practice needs to be more inclusive and more able to build on the literacy strengths that children of all different backgrounds bring to school. The list below, then, is suggestive and not definitive and if some of these are absent in some home environments it does not mean that a rich literacy environment does not exist. · Reading is practiced by the adults in the home – When children see that the adults closest to them read, they learn that reading is an important human activity worthy of emulation. It makes little difference what the reading material is, books, magazines, newspapers, in print or digital, as long as children see those around them reading. Adults can drive home the value of the activity by stopping to read something aloud that they found interesting or remarkable, or to share some information they learned from reading. · Writing is practiced by the adults in the home – A literate household uses writing in a variety of ways. The important thing that children learn in a household where people write is that writing is a means of communication that can inform, persuade or simply serve as a memory aid. So whether it is letters, emails, grocery lists or post-it note reminders placed on the bedroom door or refrigerator, children should see writing being used to communicate and they should have writing materials readily available for their own writing attempts. · Literacy materials are available in the home – When you walk into a Barnes & Noble at the mall you can barely get in the door without tripping over a display of the newest bestsellers. The home should be the same way. Literacy materials should be found throughout the home. Books on shelves and end tables, magazines on the coffee table and newspapers on the kitchen table. For children to grow as literate humans, the “stuff” of literacy must surround them. · Children are included and encouraged to participate in family conversations – The greatest ally young students have in learning to read and write in school is the oral language they bring with them from home. Oral language is developed when children are seen and heard. Conversations conducted with children rather than commands directed at children help children develop the oral language they need to underpin their emerging literacy skills in school. · Children are read to regularly – Reading aloud is important. 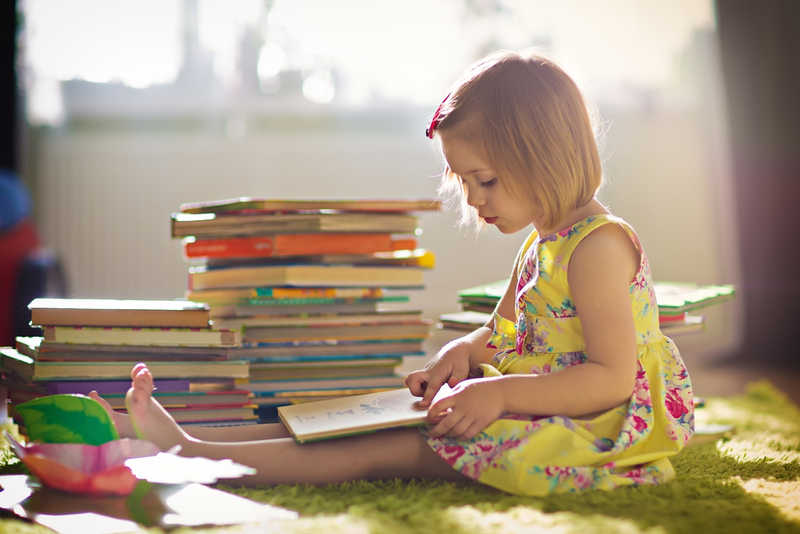 Children who are read to from an early age show a greater interest in reading at later ages, have superior reading comprehension skills and have more expressive language abilities. But just as important is the talk that surrounds the read aloud. A read aloud should include frequent opportunities to talk with children about what has been read, to ask and answer questions and to talk about what a story made the child feel and/or think about. · Family stories – All families have stories, those stories about the time the cat climbed a tree and refused to come down or when dad or mom did something silly or how grandmother came to be called Meemaw. Sharing family stories around the dinner table or in the car is an important way for children to develop their oral language and their understanding of the narrative structure of stories. Family stories are also a good way to pass down an oral history of the family; an oral history that gives children a firm understanding of who they are and where they come from. · Family library trips – Regular whole family trips to the library reinforce the importance of literacy and provide children with a wide array of literacy materials on a wide variety of topics to explore. Many public libraries also have a story time for young children. All members of the family should have a library card and should use it regularly. · Family trips to museums, cultural events and historical landmarks – Reading comprehension is built on broad knowledge of multiple topics. Regular family visits to art, history and science museums, and zoos help build knowledge that can be applied to reading and learning in the classroom. For younger children, museums that offer “hands-on” activities offer the best learning opportunities. Many museums offer special programs for children of varying age groups. · Share a fascination with words – All of the activities described above will help children develop a rich vocabulary, but parents can also help with vocabulary development by being on the lookout for interesting, exciting, curious words that pop up in reading or in conversation and by simply talking about words used by characters on TV or written on billboards or restaurant menus. We want to develop a “word consciousness” in children – a fascination with words and their many and varied uses. When you see interesting words, talk about them with your children. · Combine TV watching with talk – Television is not the enemy of literacy learning. Television viewing can be educational, whether kids are watching something that is informative or merely watching an entertaining cartoon or sitcom. The key to making TV watching a literate experience is talk. During commercials the TV can be muted and parents and children can talk about what they have seen and predict what they will happen next. At the end of the program, the TV can be turned off and the family can discuss what they have seen, summarize the big ideas and each family member can share what stood out for them in the show. Research…reveals that when students read the words on the television screen and hear them spoken by the people in the television program or movie and see the pictures or images on the television screen that tell them what those words mean, their reading comprehension, vocabulary, fluency, and general engagement with reading increases and develops at a higher rate than those students not watching captioned television. In particular, learning disabled and ESL students exhibit dramatic improvement in language skills when captioned television is a regular part of their reading program (2015). · Continue all of these practices after children begin school – Once children begin school and begin to formally learn to read and write, good home literacy practices, including read aloud, should continue in the home. Continued emphasis on literacy in the home supports the work of the classroom teacher and the continuing learning efforts of your child. Adapted from: A Parents Guide to Public Education in the 21st Century, by Russ Walsh. NY:Garn Press, 2016. Education reformers love their data. It is the desire for data that has driven the entire test and punish reform movement from the outset. The idea seems to be that if we get the right data we can identify the problem and if we identify the problem, we can fix it. And so we get more and more standardized tests being used for high stakes purposes like promotion, graduation, teacher evaluations, and school closures. The data extends down into the hallways of schools where "data walls" show student test scores for the world to see, in a mean-spirited attempt to shame students into doing better work. All this data, we are told, provides us with the information we need to fight the "civil rights issue of our time": the failing urban education system. As a public service, I would like to offer some data to the education reformer that they seem to be ignoring. This data will tell them more about the plight of urban schools than any test they can give and any data wall they can post. Each week my local newspaper, The Trenton (NJ) Times, runs a list of real estate transactions. The list includes the sale price of properties in Mercer County, NJ, divided by community. Here are this week's prices of homes sold in the poverty ridden city of Trenton, a city with very low test scores: $32,000, $32,000, $119,000, $64,000, $44,500, $13,900, $30,000, $39,500, $63,000, $80,000, $315,000, $35,000, $32,000, $38,500, $51,000. Next on this listing was West Windsor, an affluent suburb 10 miles from Trenton, with very high test scores. Here are the prices of West Windsor homes: $652,000, $362,000, $612,000, $333,500, $676,000, $525,000, $410,000, $845,000, $999,000, $335,000, $270,000. It seems to me that any neophyte statistician could look at these numbers and determine that the major issue facing public schools in urban areas is income inequity and all the attendant issues that come with that inequity: poverty, deteriorating infrastructure, drugs, crime, violence. All things that have a devastating impact on a child's ability to learn. Any sensible reformer would look at this data, and also look at the lack of positive results that have come from more than a decade of test and punish, and determine that a reform movement must target income inequity in order to make an impact on student achievement. Three years ago I wrote a tongue-in-cheek post suggesting that the best way to provide school choice would be to provide inner city families, not with school vouchers, but with real estate vouchers. With the real estate vouchers, families could buy a home in any community they chose and then take advantage of the public schools there. Perhaps reformers would like to consider this type of choice, instead of offering choice options that maintain segregation and lead to no appreciable educational improvements. I would challenge education reformers from the highest levels of federal and state government and the wealthy philanthropists who prop up these reform ideas to read this telling data and come up with a plan that deals with the real issue. You don't need to subject kids to test after test to determine this one data driven truth: a full frontal attack on economic and social inequity is our best hope for improved educational opportunity for all. No one can teach for any length of time without being touched by tragedy. Students get terribly sick. Students experience death in their families and we ache for them as they bring the grief on their faces into the classroom. Sometimes, students die. I have experienced these tragedies many times in my teaching career. Suicides. A devastating diagnosis of cancer for a nine-year-old student. Parents who were killed in the World Trade Center on 9/11. One particular tragedy stands out for me above all others. Van Johnson was one of my first students as a wet-behind-the-ears 8th grade social studies teacher at Bristol Junior-Senior High School. He was tall, handsome, with a winning smile and a 70s' style Afro that entered the classroom before he did. Van was bright, capable, curious, motivated, challenging and thoughful. He was always engaged in class, always had his hand up (or, truth be told, often didn't have the patience to raise his hand and just blurted stuff out) and multi-talented. In addition to being a top student, he was a pitcher on the junior high baseball team I coached and a performer in the school plays I directed. When I started a branch of the World Affairs Council at the school, Van was elected president. The future seemed very bright for young Mr. Johnson. During his senior year at Bristol, 17-year-old Van Johnson drowned. He and some friends were celebrating their impending graduation with a late night swim at a nearby lake, when tragedy struck. For all his talents, Van was a poor swimmer. It was foolish for him to be in that lake, but he was, after all, just a kid trying to have some fun. These memories of Van came rushing back to me as I read an article titled, Will Simone Manuel Encourage More Black Children to Swim? in today's New York Times. 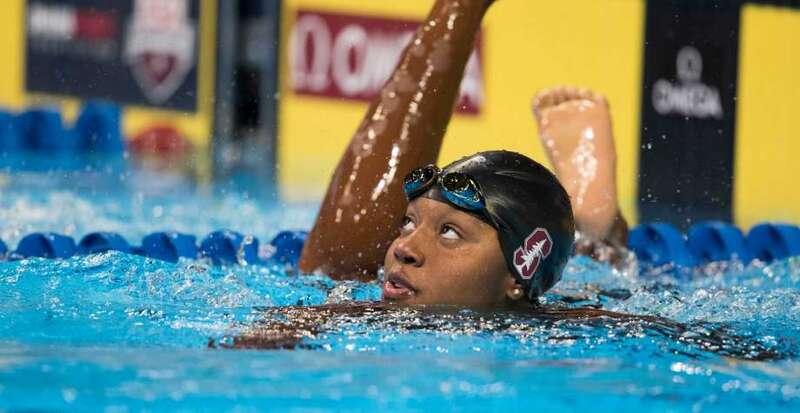 The article refers, of course, to the Olympic champion swimmer, Simone Manuel, an African-American who won two gold and one silver medal at the Rio Olympics. The article outlines the hope of many public health experts, swimming advocates and African-American parents, that her charisma and success will lead to more minority children learning how to swim. 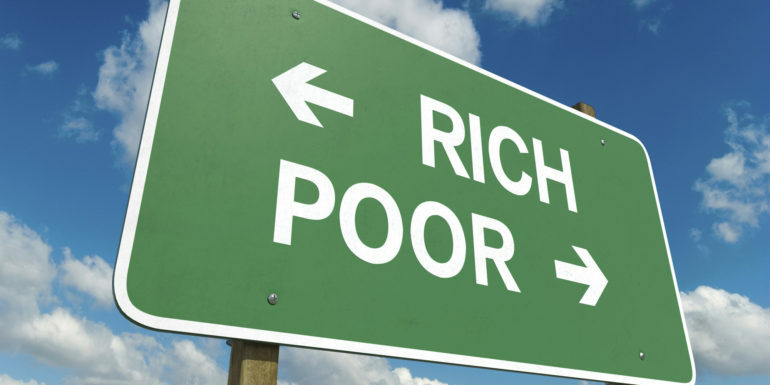 Among the many gaps between white and black, majority and minority, rich and poor in this country is a swimming gap. This swimming gap kills. It is estimated that about 70% of African American adults and children cannot swim one length of a pool. For whites the number is 6%. The reasons for this gap are many, but they all begin and end with racism. Segregation kept African Americans away from pools that were often white only. Even when pools were integrated, they often located far from minority neighborhoods. Private swim clubs that did not explicitly exclude blacks were often too costly or built close to affluent white enclaves in the suburbs. Sometimes, when black families did approach a pool or a beach they were the victims of verbal and physical attack. Van Johnson was African American. He was a weak swimmer. His companions on that fateful night were all white and better swimmers than he. Van paid the price, but in a very real sense we all paid the price that day because Van Johnson was a star in the making. I would have loved to have been witness to the adult he was about to become. Why tell this story now on a blog about teaching and reading instruction? Because I wanted to illustrate an essential truth about reading that I believe all teachers must bring with them to the classroom and their work with children: reading is uniquely and specifically individual. No one else in the world will read this New York Times article the way I did. No one else in the world knew Van Johnson quite the way I did. My reading is colored by my experience. The fact that I chose to read the article at all is colored by my experience. My reading was full of meaning, some of which the author intended and some of which is clearly mine and mine alone. Reading is first and foremost a search for meaning. As teachers we must assist children in that search, but be ever mindful that our search is not the same as their search. This means that instead of "comprehension questions" to test a student's understanding of a text, we need to ask what Beck and McKeown (1997) call "queries", which help students build there own meaning. In response to the article in the New York Times, we could ask the comprehension question, "What percentage of African Americans cannot swim on length of a pool?" or even, "What are the implications of so many African Americans being unable to swim? ", but we would do much better by starting out with the query that my wife Cynthia Mershon taught me to use many years ago, "What stood out for you?" Every reading is as unique as each student in our class. Encouraging children to build upon that unique reading is a part of the art and science of teaching reading. For more information on queries in a reading lesson, you can look at this Read, Write, Think lesson here. Or see Beck and McKeown's book, Questioning the Author: An Approach for Enhancing Student Engagement with Text. 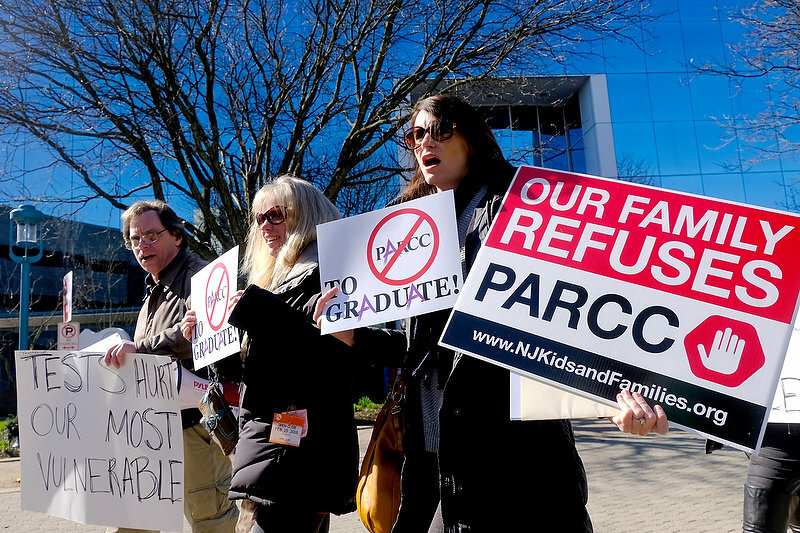 In an act of ignorance, arrogance, shortsightedness, and cowardice, the New Jersey State Board of Education has determined that the PARCC tests in Algebra 1 and 10th Grade English Language Arts will be the determining factor in whether a New Jersey school child will graduate from high school. The ruling begins with current 8th graders, which means the full effect of the law will hit in 2021. Currently, only about 40% of students pass these tests, but according to State Education Commissioner, David Hespe, "you have to have an aggressive goal." The proposal was opposed by a broad based group of parents, local school boards, and teachers. The School Board seems determined to set the target high for children, while setting the target very low for themselves. They have learned no lessons from recent education policy history, turned a blind eye to more promising ways to assess student learning in high school, and totally disregarded the failure of the state to provide learning conditions conducive to all students excelling in school. I wish Commisioner Hespe saw fit to set an "aggressive goal" for the School Board. Recent history demonstrates that setting impossible to reach goals does damage to education. In 2002, the No Child Left Behind Act (NCLB) decreed that 100% of children would be proficient, based again on a standardized test, in language arts and mathematics, by 2014. Perhaps you heard, that didn't happen. What happened instead is that schools were labeled as failing, teachers and children were made to feel like failures, teacher morale hit an all time low, curriculum was narrowed to focus only on tested areas, and states started to game the tests by setting lower standards. We can expect the same to happen in New Jersey by 2021, but we will be able to add onto that a vast number of young people wandering the streets without a diploma, many of whom would have qualified with more enlightened assessment. That more enlightened assessment would take the form of a portfolio of student work, gathered over a four year high school career that shows what a student has learned and is able to do in a variety of subjects that matter, not solely algebra and English. A portfolio is similar to what artists, actors or architects compile to show the quality of their work. Tests could be included in these portfolios, but the tests should be rooted in the criterion developed by teachers in the classroom, so that students are being tested on what they learned. Portfolios would certainly be a better indicator than two standardized tests of a student's preparedness for "college and career." Apparently, the NJ School Board already knows this is a viable method because portfolios are offered as an alternative for students who, after several tries, don't pass the test. Why not formalize portfolios as the expectation for all? School Board members might say portfolio assessment would be too time consuming to offer all students. This is only true if assessment is viewed by the State as a hammer to hold over the heads of schools and children. If assessment is seen as a cooperative venture, than local school districts can be tasked with reviewing the portfolios and determining eligibility for a diploma. The State could then monitor each school district by reviewing ten or so portfolios at random to ensure that school districts are maintaining high standards. It is called trust and verify, but apparently the NJ School Board has decided that trust is not in its vocabulary. Finally, the School Board decrees that this test will be mandatory for all children, while failing miserably to make sure that all children in the state have anything approaching the resources they need to make this happen. The struggles of inner city schools have been well-documented and much of that struggle comes from the debilitating impact of poverty. Many programs could be instituted in the state to ameliorate the impact of poverty, but the only thing the state has been able to come up with is charter schools that do not better, on average, than public schools. The reason that charters generally do no better is because no school can overcome the educational impact of poverty on a child's brain, a child's physical health and a child's readiness to learn. Charter schools are a way to distract the people of NJ from the real issues no one wants to deal with: income inequity and segregation. But it is not just the urban districts that have not been well-supported by the State. Many districts in affluent areas have also been shorted by the State according to the State's own funding formula, the School Finance Reform Act of 2008 (SFRA). The story of education in the last 30 year in New Jersey is a story of chronic under-funding, test based accountability, and failure to find real, sustainable solutions to educational issues in inner cities, even in those urban school districts that the state has taken over. Consider how the very portfolio assessment you suggest as an alternative could be the gold standard for all students. Recognize that PARCC proficiency is based on the National Educational Assessment Program (NAEP) tests and is set way higher than the state mandated "basic competency" test and remove it as a graduation gate keeper. Lobby to ensure that all schools are appropriately funded. Support social programs, including high quality early childhood programs, and wrap around community services programs that will help children be prepared to learn in school. In New Jersey, as well as elsewhere in the nation, it is time for policy makers to stop punishing children for the shortcomings of adults. I read today of the death of educator and mathematician, Seymour Papert. Papert was a visionary in the world of computers as instruments of learning and enhancing creativity. Papert's most famous book was Mindstorms: Children, Computers and Powerful Ideas (1980). The book had two major themes: that children can learn to master computer use and that computers can help children think and learn in new ways. Papert invented a programming language for children called LOGO. Using LOGO children learned to program a robot "LOGO Turtle" to move around a room (or computer screen) based on the instructions students wrote into the program. LOGO was focused on discovery - a self-directed method of teaching and learning. LOGO was also intended to be social - students working together to solve problems and create programming code that worked, with the immediate feedback available to them in the form of the movement of the turtle. Research indicated that LOGO helped children develop metacognitive ability (the ability to reflect on and revise their own thinking), improve problem solving ability, and enhance spatial orientation ability. As a reading specialist, I was interested especially in how LOGO could be used to help children develop metacognitive abilities and problem solving abilities, both important components of skilled reading. I designed a simple LOGO module for my students, which they could apply on the limited computer screens I had available to them in the 1980s. No doubt a visionary like Papert would be disappointed in the recent research from the Office of Economic Co-operation and Development (OECD), the people that bring us the PISA test, who report that technology in the classroom has so far had little impact on student learning. William Doyle reported on these findings for The Education Partners and Diane Ravitch discussed the findings on her blog. Doyle says that "there is little evidence that digital tools are inherently superior to analog tools in the hands of qualified teachers in teaching children the fundamentals of learning." Where did things go wrong. How did the promise of Papert's work devolve into the recent conclusions of the OECD report? A close look at what Papert hoped for and what Doyle suggests in his article might provide some answers. Papert's vision of technology in the classroom was based on play, discovery, experimentation, and social interaction. The teacher acts as a facilitator of the learning, shaping, guiding, redirecting, but not forcing the learning. This has often not been the way that digital instruction has been used in the classroom. Too often the computer has been used as only an alternate delivery system for information and rote exercises, sometimes in a game like format, but still not appreciably different from traditional textbooks and worksheets. Instead of unlocking the real power of computing, schools have too often replicated traditional analog learning on the computer screen. Doyle suggests that a return to Papert's original vision may be the way to go. Here is what he had to say about a lesson he observed at a teacher training school in Finland. In the school's science lab, the fourth grade class is deeply immersed in building physical prototypes of LEGO MINDSTORMS robots. Small teams of twelve-year-olds gather around instruction charts on desktop screens, then get on the floor on their hands and knees to collaborate in the complex task of assembling wheeled mcro-robots that can talk, move, and play music. The teacher, Jussi Hietva explains that the children are learning not only critical STEM skills, they are building "soft skills" of teamwork, leadership, negotiation, trial-and-error and collaboration. Children are encouraged to giggle, wiggle and squirm from time to time, since that's what children are biologically engineered to do, in Finland and everywhere else. "They are having fun while they learn," says the teacher. "Why not? They are children!" So we have come full circle in our thinking about the role of the computer in the classroom, all the way back to Papert's 40 year-old vision. As we have adopted more and more technology in the classroom we have tried to impose old learning paradigms on a new technology; it hasn't worked. Perhaps there are clues here to why online charter schools have shown such miserable results. We can't just plop kids down in front of a computer screen, expose them to a curriculum modeled after the analog learning models of the past, and expect great learning to take place. Learning is social. Learning is collaborative. Learning requires the teacher over the shoulder facilitating the learning in real time. This all brings to mind the short story by Isaac Asimov entitled, The Fun They Had. In the story, written in 1950, but set in the world of the 22nd century, children do not attend school, but receive all their instruction on a personal computer programmed specifically for their learning rate. The children hate the mechanized approach to their learning. They find a book, something they have never seen before, that describes something called "school." This school was a place where children learned together with a real, flesh and blood teacher. These 22nd century children can only marvel at "the fun they had" in school. To tap into the power of the digital age in learning we need to remember that children need to have the opportunity to experiment with the real potential of the computer, not through canned programs, but through experimentation, collaboration, and structured play. As the Finns say, "Play is the work of children." Seymour Papert would agree.